Fantastic in town location! This condo is close to Heavenly, Lake Tahoe and the casinos. This spacious condo has a great open floor plan. Newer tile at dining room and kitchen. 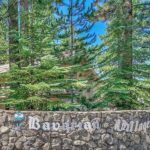 This is an excellent Value for a Tahoe property. The complex is well maintained. Come take a look today! This entry was posted on Saturday, August 19th, 2017 at 4:50 am and is filed under New Property, Rover IDX Property. You can follow any responses to this entry through the RSS 2.0 feed. Responses are currently closed, but you can trackback from your own site.